Frattura ed Integrità Strutturale (Fracture and Structural Integrity) is the International Journal of the Italian Group of Fracture (ISSN 1971-8993). It is an open-access journal published online every three months (January, April, July, October). 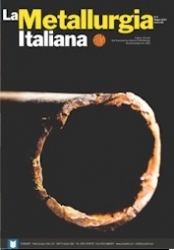 The Journal is financially supported by Italian Group of Fracture and by crowdfunding and is completely free of charge both for readers and for authors. Neither processing charges nor submission charges will be required. Frattura ed Integrità Strutturale encompasses the broad topic of structural integrity, which is based on the mechanics of fatigue and fracture and is concerned with the reliability and effectiveness of structural components. 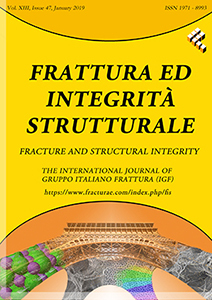 The aim of the Journal is to promote works and researches on fracture phenomena, as well as the development of new materials and new standards for structural integrity assessment. 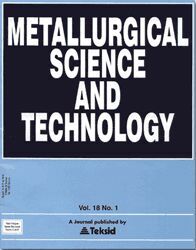 The Journal is interdisciplinary and accepts contributions from engineers, metallurgists, materials scientists, physicists, chemists, and mathematicians. La rivista "La Metallurgia Italiana", dal 1909, è il mensile d'informazione tecnico-scientifica più autorevole del settore metallurgico.